Shop Now allows businesses to reach every home in Salt Lake and Davis Counties by advertising to the premium subscribers of the Sunday newspapers along with Utah Media Group's shared mail program. 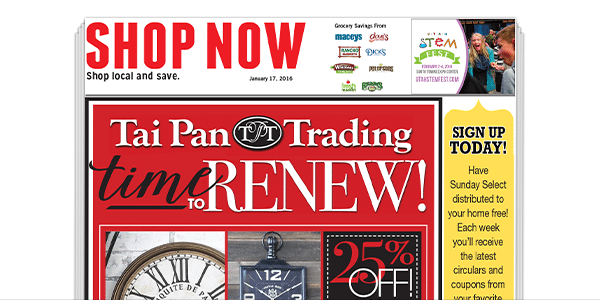 Shop Now acts as a coupon, savings and deals publication, offering some of the best savings to residents along the Wasatch Front. Across the Salt Lake Valley, over 370,000 non-subscriber and subscriber homes of the Deseret News and The Salt Lake Tribune are reached through this shared mail publication at one-third the price of traditional direct mail. 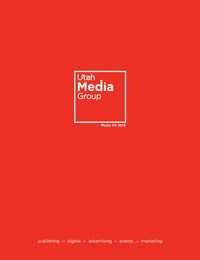 Businesses running in Shop Now can also take advantage of Utah Media Group’s co-op program where we can help you take advantage of their national manufacturer's co-op dollars to help you business save advertising dollars. Internal circulation estimates as of October 2015.